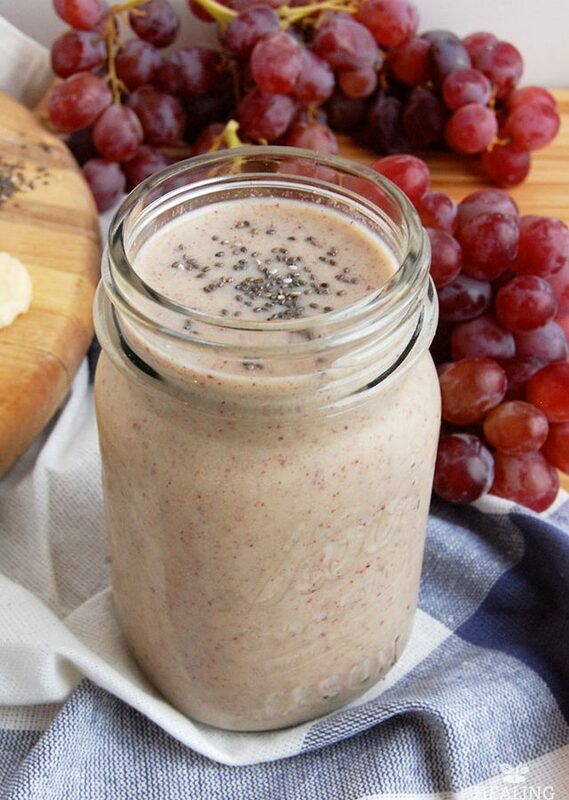 This naturally sweet smoothie makes excellent use of fresh grapes. It almost tastes like a peanut butter and jelly smoothie, so it’s sure to be a hit with the kids. 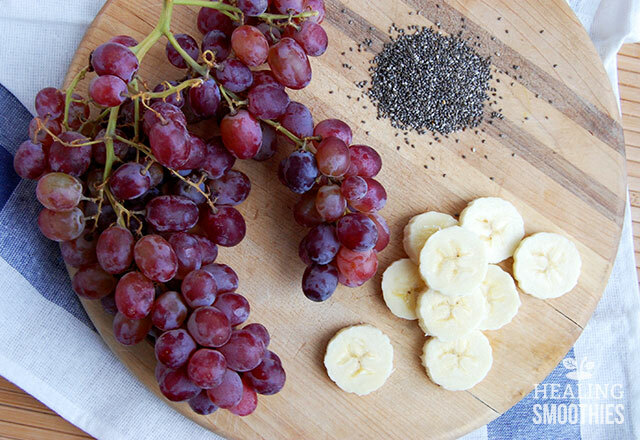 And grapes actually pack a lot of nutritional benefits. Most of their antioxidant content is found in the skin of the small red berries. The antioxidants known as polyphenols can be found in grapes, grape juice, and red wine. And this smoothie of course. One of those polyphenols is resveratrol. Resveratrol can protect against several chronic conditions. It helps to lower the risk of heart disease by reducing bad cholesterol and lowering blood pressure. It protects against artery damage and blood clots, and improves blood flow through the blood vessels. Additionally, resveratrol also slows down the aging process by reducing cell damage. Grapes are high in other antioxidants as well. Anthocyanin lowers the risk of heart disease (like resveratrol). It also fights free radicals alongside the natural anti-inflammatory quercetin. Lutein and zeaxanthin, two more antioxidants, are important for eye health. Furthermore, grapes contain a high amount of vitamin K, along with doses of vitamin C, vitamin B6, and thiamine. However, be warned that grapes have high sugar content. This can cause your blood sugar levels to temporarily spike, and therefore should be eaten in moderation, especially if you are diabetic. 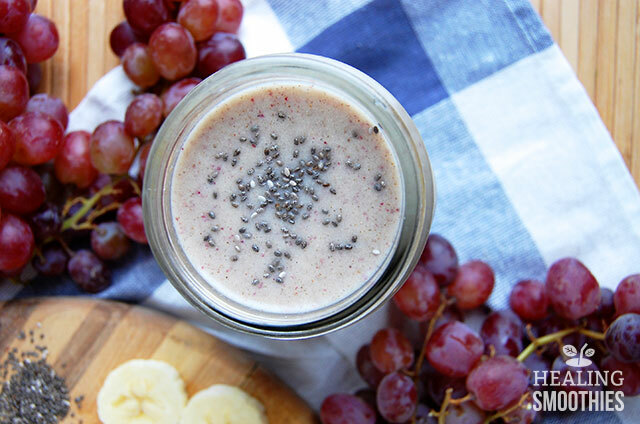 To give this smoothie an extra easy boost of nutrients, chia seeds are added. They do not affect the flavor but provide a lot of benefits. Chia seeds are not only high in protein, but also in omega-3 fatty acids. The omega-3s in chia seeds reduce inflammation and lower cholesterol levels. In addition, chia seeds are an excellent source of fiber. 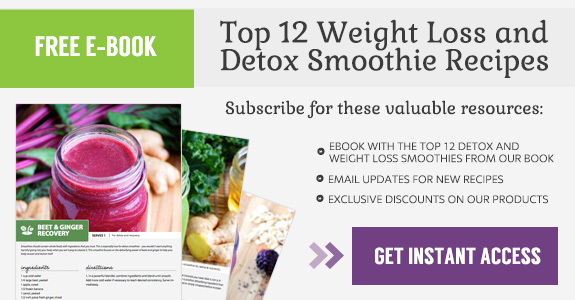 They can be purchased at almost any health foods store or online. Using a high-powered blender for this red grape smoothie not only results in a smoother texture, but also breaks down the cellular wall of the grape. This helps the body absorb even more of the nutrients that the fruit provides. So blend and enjoy!